Creating the perfect smile requires an artistic touch. Beautiful, healthy smiles aren’t just defined by straight teeth, but by the harmonious relationship between the smile and the rest of the face. At Montano Elevated Orthodontics, our focus on facial balance and symmetry is one of the reasons we’ve been voted Bakersfield’s best orthodontists. If you’re considering orthodontic treatment, it’s important to know you’re in good hands. Before you make an appointment, download the FREE Complete Orthodontic Treatment Checklist! You’ll be amazed at the difference a beautiful smile can make — for you and the people you love. 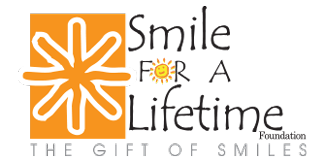 Our goal is to help everyone live life smiling! We are proud to provide state-of-the-art orthodontic solutions in a relaxed and welcoming atmosphere. Whether your treatment involves braces or clear aligner therapy such as Invisalign®, you’re in the best hands. In fact, you’ll often hear our patients say we are “like family”. This is why we have been voted Bakersfield’s #1 Orthodontist for the past 4 years! We are not your typical orthodontic practice. Our open-concept space is designed to maximize your comfort by making you feel like you are right at home. Our treatment process is designed to ensure the finest quality result, as well as unparalleled patient comfort. Our patients often comment how quickly beautiful results are achieved. We have a reputation for not only being Bakersfield’s best orthodontist but also for creating Bakersfield’s most beautiful smiles. Although we primarily serve the communities of Bakersfield, Taft, Wasco, Shafter, Lamont, Arvin, Delano and Tehachapi–we also have patients who seek us out from from throughout the state of California. We are grateful for your decision to consider us for you or your family. If we can answer any questions you have, please let us know. We look forward to getting to know you, and helping you Live Life Smiling!